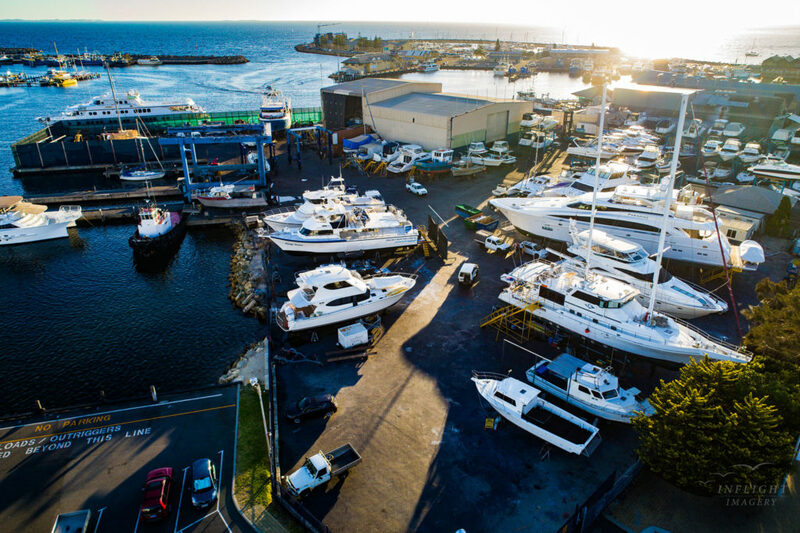 State-of-the-art facilities and lifts for both commercial and recreational boats. Immediate access to the ocean. 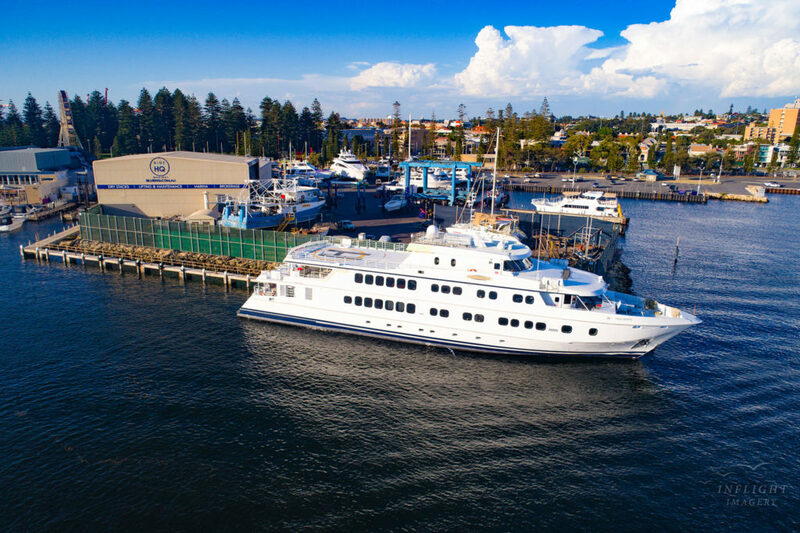 Blue HQ is Fremantle’s original shipyard, repair and maintenance facility. Conveniently positioned in Fremantle’s Fishing Boat Harbour, we offer Perth’s best lifting services for both commercial and recreational vessels. Fit for purpose equipment and facilities. 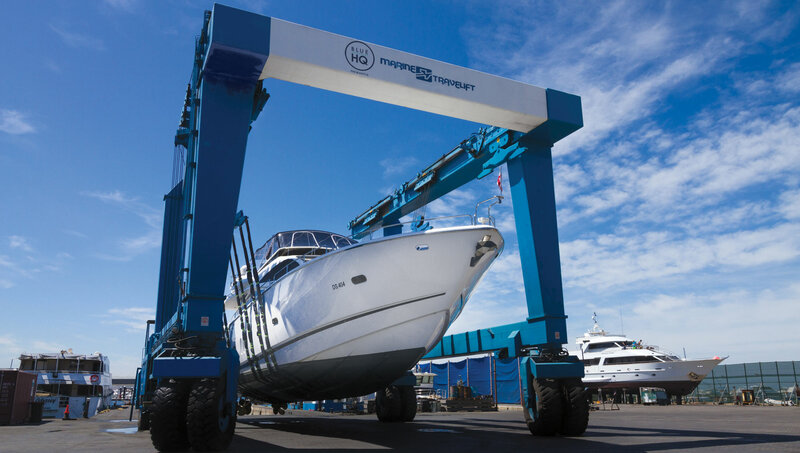 With state-of-the-art facilities and boat lifts we ensure vessels are lifted correctly and safely. We can use the best fit for purpose equipment with access to our 210 ton, 60 ton and 30 ton Marine Travel Lifts. Blue HQ’s lifters are fitted with multiple slings at each lifting position. This method reduces stress on any particular part of the vessel by spreading the load evenly across the entire structure, it also reduces the likelihood of any major incidents or failures by over 200%. 24/7 availability and access to the best trades. 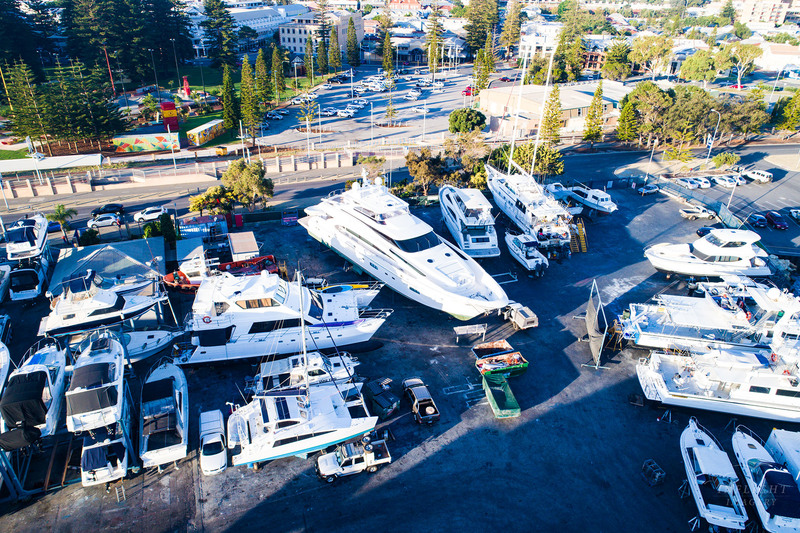 Ideally located in the heart of Fremantle’s deep boating harbour, we provide 24/7, unmatched convenience to the ocean, and access to the best facilities and trades. Our location and strong market presence gives us convenient access to the best trades and services making our client repair and maintenance experiences’, significantly easier and cheaper than our competitors. A professional boat lifting team. 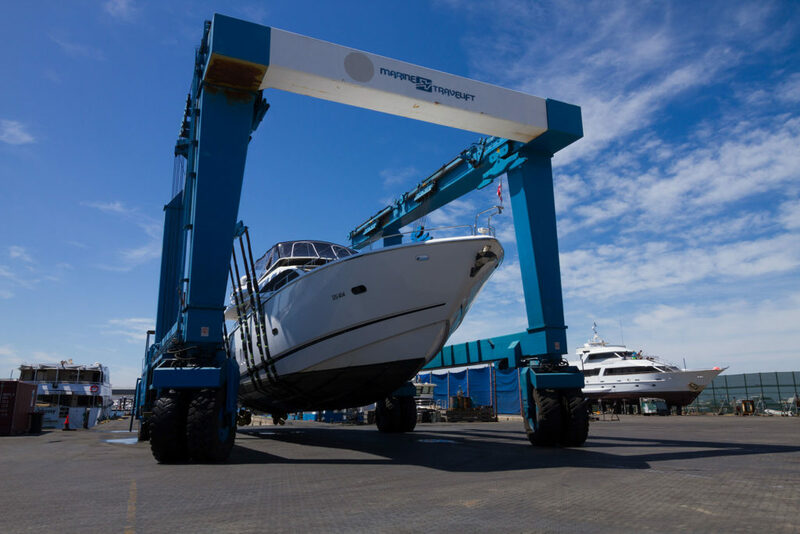 Blue HQ Fremantle Boat Lifters has one the most experienced lifting and maintenance team in Western Australia. Led by a highly experienced Site and Project Manager, David Carey, our team of six ground crew has collectively over 60 years of experience in the field. 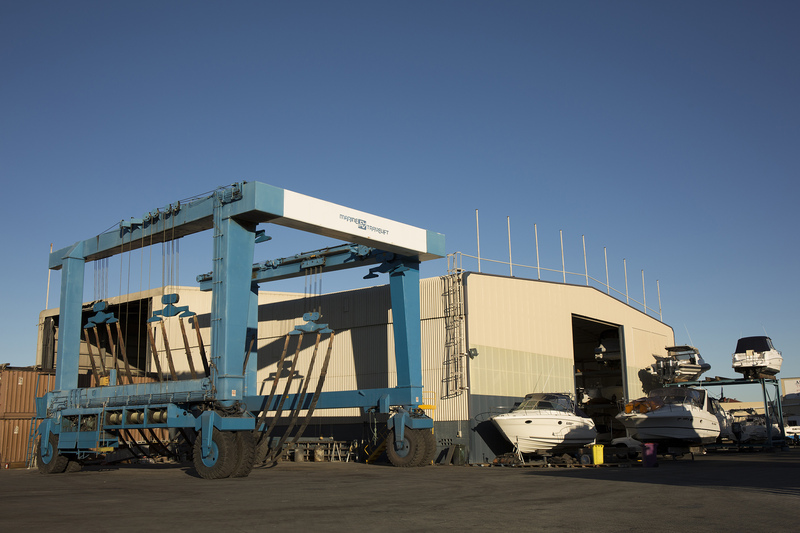 Blue HQ’s staff are trained and experienced on all machinery and certified to drive vessel from 6m or 60m. 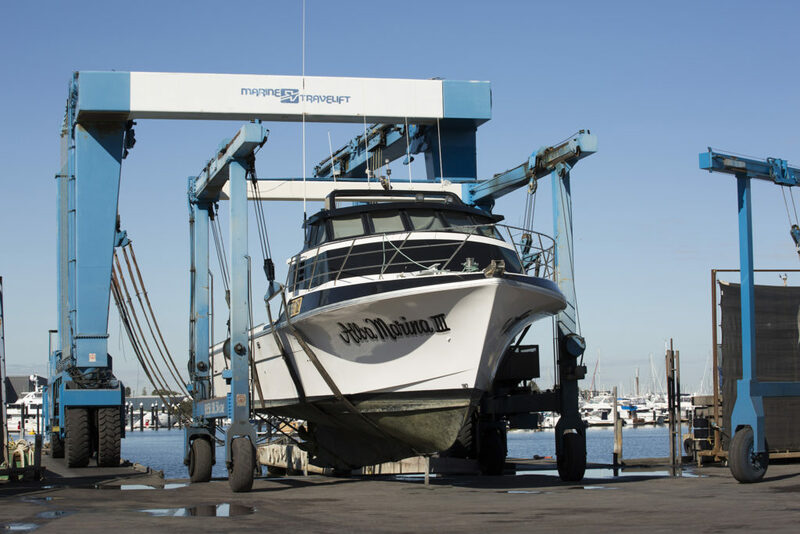 Fast turnaround, full service boat lifting and maintenance service. 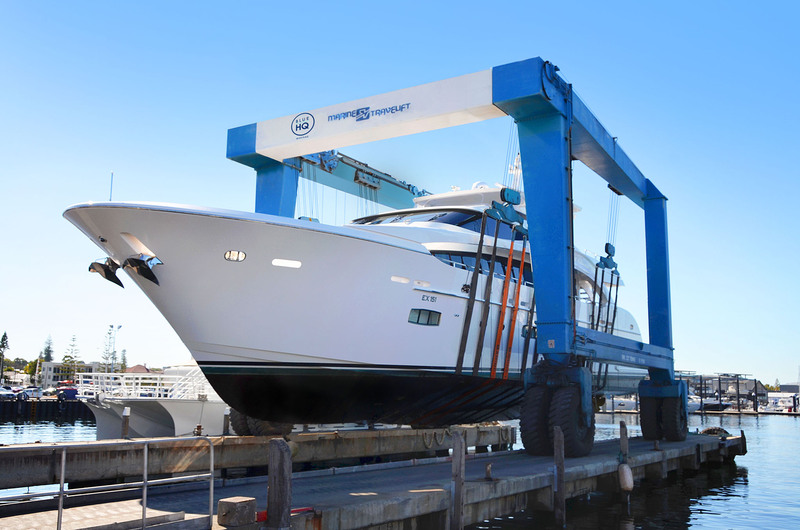 Unique to Blue HQ Boat Lifters Fremantle is its turnkey boat lifting and maintenance service – a total hands-off approach to boat lifting and maintenance. 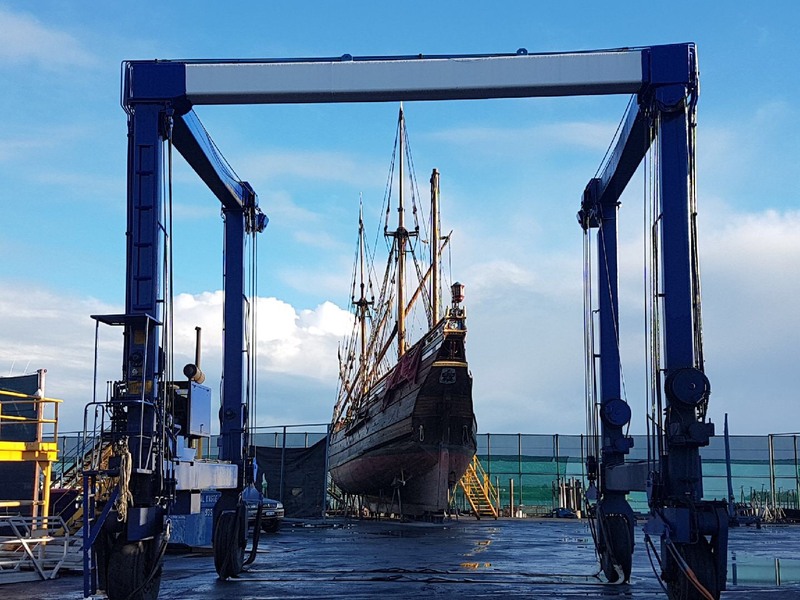 One of our team members will pick your vessel up from your pen, deliver it to the yard for works, and then wash and return to your pen once complete. This is perfect for anyone whose time is valuable. Here to help with your DIY boat maintenance. Some clients prefer to have a more hands-on approach. This is common in the yard and our staff are more than happy to share tips and trade secrets to aid the DIY boaties. Blue HQ has partnered with the best marine contractors to provide an ‘A to Z’ service for all of your maintenance needs – ultimately providing a one-stop shop for boat services. 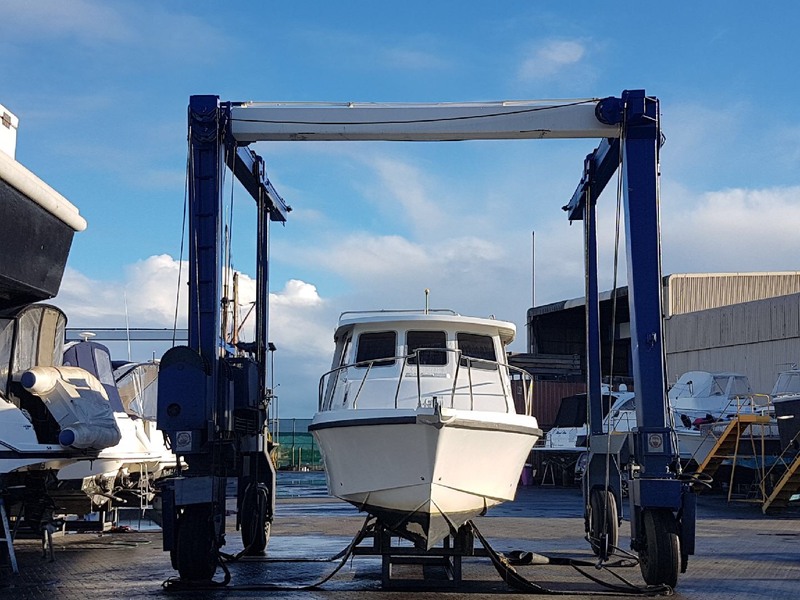 Blue HQ can offer quick turnaround for your annual haul out maintenance or if required longer hard standing for your major boat maintenance needs. Many customers choose the 800sqm shed to complete paint jobs and time-sensitive tasks when weather is a potential issue.